Accelerated Rehabilitative Disposition ARD in Chester County, Montgomery County, Philadelphia County, Delaware County and Bucks County | DUI Defense | The Law Offices of Michelle A Fioravanti, P.C. 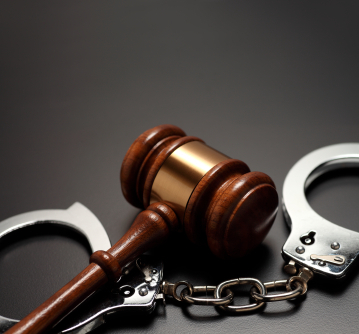 You may be eligible for the Accelerated Rehabilitative Disposition (ARD) program in Pennsylvania if you have been arrested for DUI, and it is your first offense. The ARD program is available in all counties in Southeastern Pennsylvania: Chester County, Montgomery County, Philadelphia County, Delaware County, Lancaster County, Berks County and Bucks County. ARD provides a great break for first offenders not to be convicted of DUI. But not everyone is eligible for ARD. Call the Law Offices of Michelle A. Fioravanti at 484-876-1543 or contact us to see if your case qualifies for the ARD program. The successful completion of ARD for DUI offenses results in no jail time and a greatly reduced PennDOT license suspension. And if you’re employed, or seeking employment, another benefit to receiving an ARD for a DUI is you do not have to disclose it as a conviction to current or future employers. Don’t risk your job or future employment opportunities–consult with an experienced DUI criminal lawyer, to determine if you are eligible for this program. However, ARD for a first DUI arrest may not be right for your case. Perhaps the officer did not have probable cause to stop you. Or maybe there was a problem with the breathalyzer machine, or the sobriety checkpoint wasn’t proper. Depending on the circumstances, you may choose to go to trial, because there is a good chance the prosecutor cannot meet his burden of proof and you will be found not guilty. The only way to know the best choice for your situation is for you is to make an appointment with an experienced Pennsylvania DUI lawyer. Call the Law Offices of Michelle A. Fioravanti at 484-876-1543 or contact us for a free initial consultation to learn more about the ARD program. As your Pennsylvania DUI criminal defense lawyer, we will provide experienced and aggressive representation you can trust. Your DUI case is important, and it will receive the personal attention it deserves.